Early in the summer, NetEnt announced the launch of a new phantom of the Opera slot, however, developers faced the problem of licensing this game. 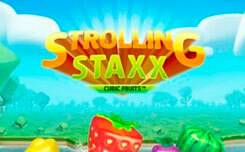 To date, the company has settled all issues with the necessary licenses. 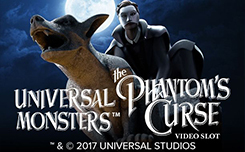 Universal Monsters: The Phantom’s Curse will be released on January 24, 2018. 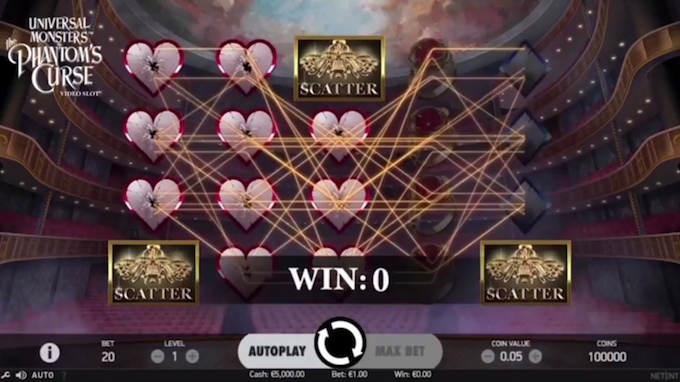 The new game has five reels and 40 winning lines, and winnings are counted in both directions. 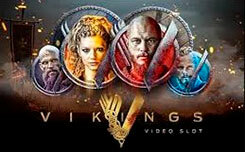 The graphic side of the slot has the theatrical and sound effects, the game is on the background of the opera house, on the playing drums you will see the symbols: hearts, a gold ring, a yellow rose, a pearl, and also the heroes of the opera Christina and the Phantom himself. Wild symbol has the form of a white mask, it can replace any character, except for the symbol of the scatter, which activates the free spin. 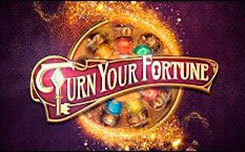 Bonus function slot The phantom’s curse. Masked Phantom Re-Spin – is activated when two special symbols appear on the first and fifth drum: The first drum is a phantom symbol. In this mode, you will be credited with one rotation, in which all the drop-down symbols in the form of a mask or phantom will turn into a wild symbol. 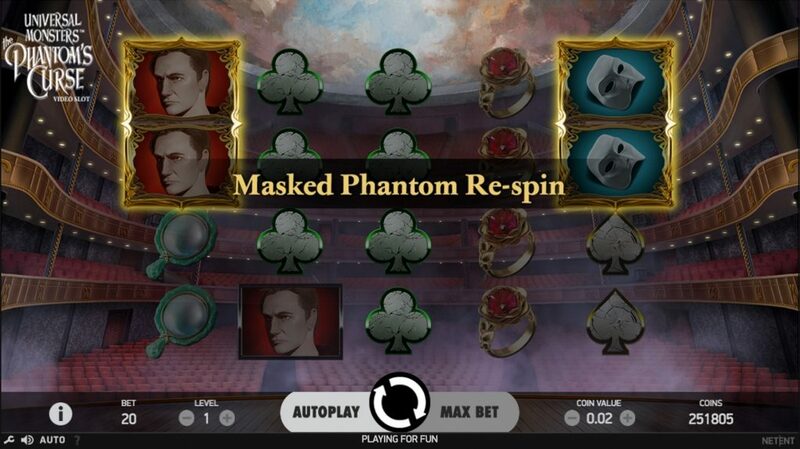 Pick-and-Click bonus – it is activated when the double symbols of the phantom and Christine appear on the first and fifth game drum. Bonus game consists of two stages. At the first stage, you have to choose the red roses behind the money prize or symbol (X). 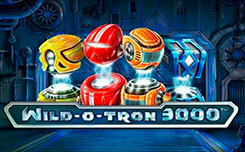 In the second stage, you need to choose one of the three mirrors, which can multiply the obtained from the first stage several times, the multiplier can be x1, x2 and x3. 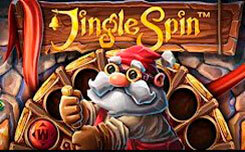 Phantom Free Spins – activated when a chandelier symbol appears on the first, third and fifth drum. During free spins, the chandelier hangs on a rope that has five ropes, when a (Phantom) symbol is dropped, one of the ropes is cut off, and the phantom turns into a wild. The game ends when all 5 ropes are cut off. 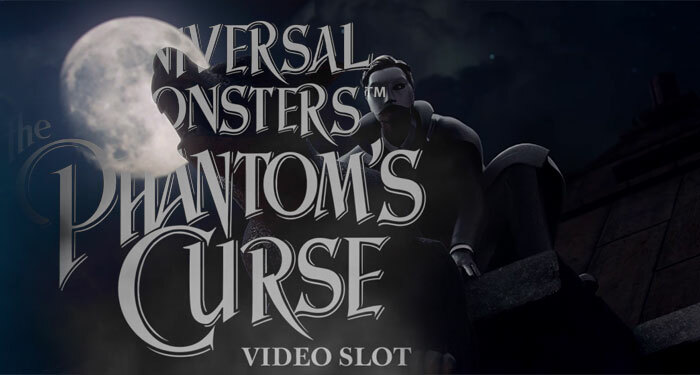 In conclusion, I would like to add that the new Phantom’s Curse slot will be the expected novelty, because of the various bonus features, the slot and has a new payout structure, which is sure to appeal to many players.